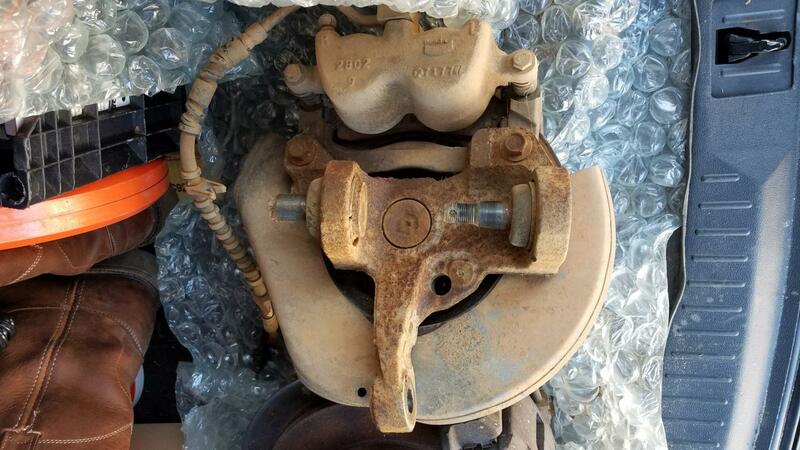 Requires the use of the later model knuckles/spindles with bolt on calipers as shown in the images below. Reports are that these parts will then back date onto earlier trucks. We cannot personally confirm this so do your homework. APPLICATION: Designed for maximum performance and 17" wheels this kit is a simple weekend bolt on! Street proven products packaged to meet the demands of the daily driver and sport enthusiast. FIT: Requires 17" or larger wheels. Track width will be increased 1/4" per side. NOTES: Available with or without modified hubs. The hub and bering kit consists of modified factory rotors (cut down), new bearings, seals and longer pre installed wheel studs. Instructions and part numbers included for the DIY installer. APPLICATION: A larger version of the above kit, this 14" front kit pushes the envelope with a larger rotor for improved thermal properties and comes with larger and fatter brake pads ensuring longer life for the more demanding owner. FIT: Requires 18" or larger wheels. Track width will be increased 1/4" per side.